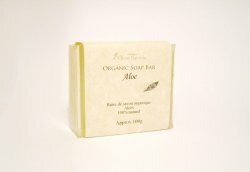 This premium soap bar is made with organic plant oils and other natural ingredients for maximum benefit for the skin. It creates a light and creamy lather and great for all skin types including sensitive skin. Free of Artificial Colors, Fragrances or Preservatives.